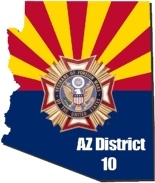 Arizona VFW Charities website is in it’s infancy but we are making strides. Be sure to visit their website and bid on the auctions that are available. 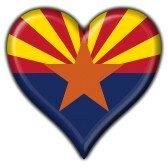 Help your fellow veterans and take a minute to like AZ VFW Charities Facebook page as well. Your support is greatly appreciated. This entry was posted on February 11, 2014 by adamsdeanaz in Arizona VFW and tagged Arizona Charities VFW, Arizona Veterans, Arizona Vfw, District 10 VFW, Helping Veterans Auctions.